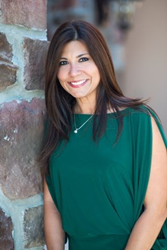 Dr. Maribel Santos-Cordero is a respected pediatric dentist in Sarasota, FL, who raises awareness of dental treatment for anxious pediatric patients. She offers leading sedation dentistry options to help young patients feel comfortable and safe while receiving the dental care they need. Our main goal is to build trust, reduce anxiety and provide a positive experience in a non-threatening environment. Young patients who are anxious about visiting the dentist are encouraged to visit Dr. Santos-Cordero for leading pediatric dental care, including calming sedation dentistry. Dr. Maribel Santos-Cordero is a compassionate pediatric dentist in Sarasota, FL, who takes great care to create a comfortable environment for each patient. When children have positive dental experiences at a young age, they are less likely to experience dental anxiety as adults. Parents with children who are anxious about visiting the dentist are encouraged to schedule an appointment with a skilled pediatric dentist in Sarasota, FL. Dr. Santos-Cordero is committed to building a relationship with each patient. She says, “Our main goal is to build trust, reduce anxiety and provide a positive experience in a non-threatening environment.” She is trained in analyzing how a child might respond to treatment, based on his or her level of fear or sensitivity. She offers sedation dentistry options that are safe and effective to help young patients feel relaxed during any procedure. Dr. Santos-Cordero takes a variety of factors into consideration when determining what type and amount of sedation is appropriate for each child, including the invasiveness of the procedure being performed and the level of the child’s anxiety. She uses a variety of behavior guidance techniques and offers several methods for reducing anxiety. Nitrous oxide/Oxygen is a safe, effective mild sedative agent used to calm a child's fear of the dental visit and enhance effective communication. It also works for children with a gag-reflex and those worried about the sounds, sensations and sights of dental treatment. For patients with extreme fear or those with special healthcare needs, IV sedation in the office and general anesthesia at the hospital are often recommended. Deep sedation is always administered by a board-certified pediatric anesthesiologist. Sedation can help children receive the quality dental care they need in a stable, calming environment. Dr. Santos-Cordero and her staff strive to make sure all patients have positive experiences every time they visit their Dentistry for Children & Adolescents practice. Parents in search of a pediatric dentist in Sarasota, FL, who is trained in offering safe and relaxing sedation dentistry are encouraged to meet with Dr. Santos-Cordero. She serves the Sarasota, Bradenton and Lakewood Ranch areas. Appointments can be arranged by calling Dentistry for Children & Adolescents during regular business hours. Dr. Maribel Santos-Cordero of Dentistry for Children & Adolescents is a board-certified pediatric dentist in Sarasota, FL. Her practice offers comforting and comprehensive dental care for children. Dr. Santos-Cordero is fluent in Spanish and English and has been in practice since 1994. A Diplomate of the American Board of Pediatric Dentistry she is also a member of the American Academy of Pediatric Dentistry and the American Dental Association. To learn more about Dr. Santos-Cordero, her team or the services they offer, visit http://www.sarasotachildrendentistry.com or call Dentistry for Children & Adolescents at 941-907-7762 to schedule a consultation.